INTRODUCING ALGISLOtm The 3-in-1 Alginate Retarder/Bonder/Softener A REAL STUDIO BREAKTHROUGH - ArtMolds has created the 3-in-1 alginate control formula . . . a must have for anyone who uses alginate. This is an indispensable multi-use formula for all brands of alginate. USE AS A . . . RETARDER . . . increase set time up to 5 or more minutes. BONDER . . . bond a set layer to a new layer stronger than any other method available. SOFTENER . . . soften freshly set alginate to allow application of fiber to the surface to firmly hold a mother mold. RETARDER. Algislo is the alginate-retarding agent created especially for artists, special effects, restorers, taxidermists, sculptors, mold makers and anyone who wished they had more control over their alginate product. 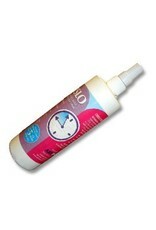 Algislo is the answer to all alginate users! To slow set time: in 16 ounces (480 ml) of water simply substitute approximately Â½_ ounces (15 ml.) of your water mix to Â½_ ounces (15 ml.) 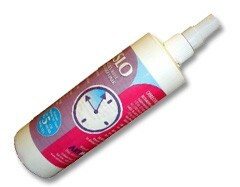 of Algislo for each minute of additional set time desired, for up to five and even more minutes. OR for every pound of water remove 1/2 oz. (15 ml.) of Algislo to add one minute (approximately) of set time. BONDER. For best results surface to be bonded should be recently set. The longer the set, the poorer the bond. Thoroughly spray the surface of the alginate and apply your new alginate layer. We recommend spraying the surface rather than the use of a paint brush for more even results and to avoid pulling on a tacky area. SURFACE SOFTENER. When applied to a recently set surface, Algislo will soften it sufficiently to allow the application of fiber to secure a mother (shell) mold. For best results we recommend spraying the surface before it sets. This will act as a surface set retarder giving the lifecaster ample time to apply fiber on the surface.